Summer is a time for lazy days and reading. (Much to my children's dismay) They have a list of books they have to read, I end up with a list of books I finally have time to read. This year I added to my list one of my incoming high schoolers "have to read" books. 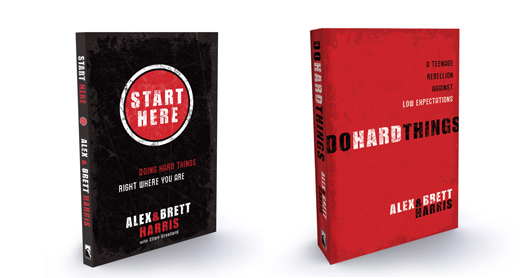 Do Hard Things, by Brett and Alex Harris - was one of the most inspirational books I have read in quite sometime. This is a book by teens, for teens and it challenges them to make hard choices, to follow their passion, and to go against what modern day society says is the standard. 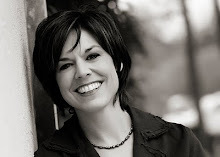 They encourage teens to raise the bar to go beyond what society says is exceptional and really rise to the calling that God has placed before them. As I read this book, I was elated and saddened - elated that some "boys" were able to inspire so much passion and saddened that I had missed opportunities - that I didn't read this book when I was 15. I finished the book with my own list of "hard things" and how I might approach them, I also walked away from that finished book with a revelation that growing up in the 80's as a teenager was a strange time. As youth we were not challenged by society, we were able to party and just get by - until "ya know" we had to be responsible. I distinctly remember my 25th birthday and remembering that it was very difficult for me - I was now at the age when I had to decide what to do with my life - I now had to be an adult and be responsible. Not that I didn't have some responsible acts as a teenager - I was class president, went to girls state, was a senate page - made good grades -received a college scholarship - but all of these were things I chose to do - society didn't expect anything of me. Faced with the age of 25 I knew now there would be expectations. Oh, how it would have been great to approach the age of 25, 30 and even 40 having stood with a group of peers that knew how to make hard decisions and accomplish the hard things. I think as someone in their mid 40's I lived in a strange time - it was the time of do whatever - have fun you'll have to be responsible soon enough. It was the time of both parents or all four working. There was dot.com money and there was a stock market climbing out of control. Not only were we living in a time when we were not required to be responsible we were living in a time when our parents were able to say - finally we have arrived and I am going to make life easy for you, don't you worry about it. Is it no wonder we have parents in their 70's still working full time jobs and 30's somethings still living in the basement? Or currently, I have seen first hand several mid-life crisis breakdowns. Life was easy, we had no responsibility, we played at being grown up but never truly made the hard choice. Now faced with society and an economy on the brink of complete meltdown, the let's-do-lunch and go-golf-six- figure jobs have diminished and we personally are faced with "doing the hard thing". Oh, if my 15 year old can even get a little out of this book and make one hard choice and feel the exhilaration that comes from reaching out and going beyond what is expected, what is demanded, or what is the easiest way to get the job done - he will be one step closer to possibly be in a better situation when the true "Hard Times" come.